We love a chunky trainer. 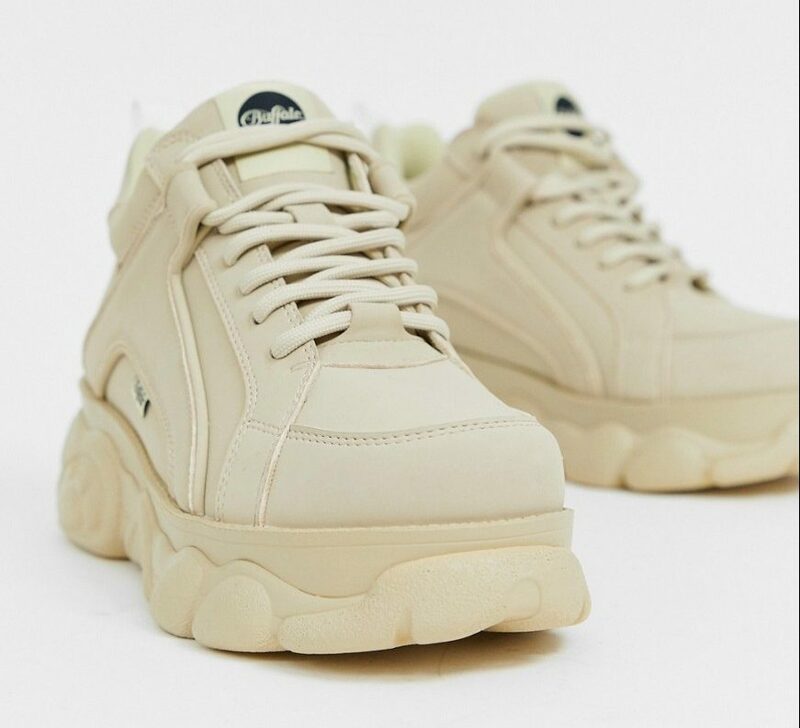 From the edgy 90s Fila Disruptor, to the sleek luxury Alexander McQueen, an oversized sole is a must for any fashionista’s sneaker rotation. 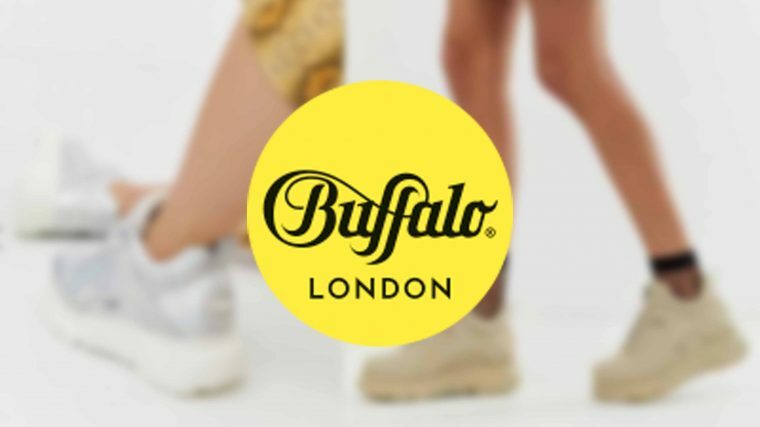 However, Buffalo London – a pioneer for comfy platform soles is taking a new approach with its latest silhouette. The Colby Low Platform is the latest addition to Buffalo’s collection of releases. Unlike its predecessor, the Buffalo Classic Low, the Colby is definitely a silhouette that can work as an everyday shoe. If you’re taller and want the chunky platform look without the actual height, these could be for you! Classic designs come in Cream and Black. They’re crafted from faux leather and feature the signature Buffalo panelling and tonal stitching, with matching laces up top. 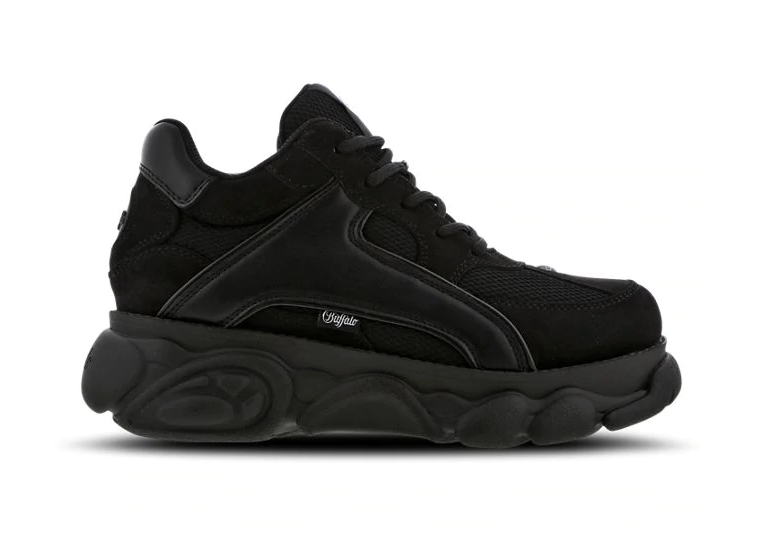 The main difference between these and the Classic Buffalo trainers is the sole height, which looks like it has been chopped in half. It’s made of rubber and has been moulded to give that bubble shape we all associate with Buffalo and the 90s. Giving us hiker-chic feels, these low top trainers are a versatile piece that’ll style well with anything. We’re thinking loose fitting cargo trousers and a long sleeve t-shirt for an effortlessly cool look. 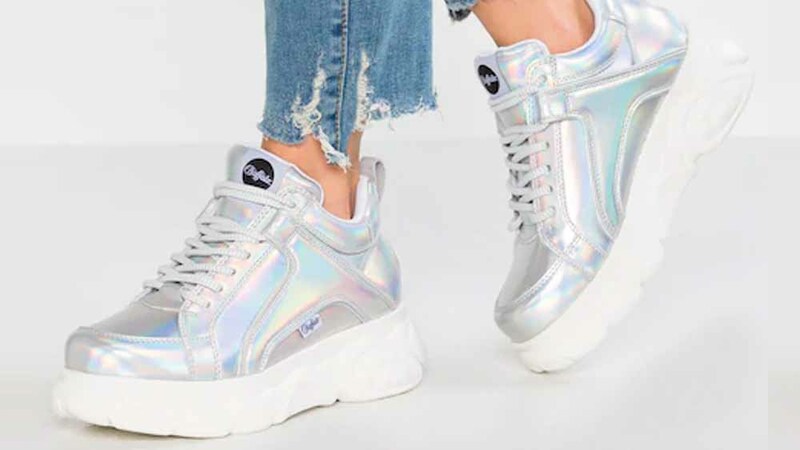 If you can’t imagine wearing a Buffalo shoe without the ‘wow’ factor, there’s also a Holographic Silver silhouette that would be a great party of festival statement piece. Dad shoes, east your heart out!